Melody McCracken joined Wenzel Select Properties in February 2019. 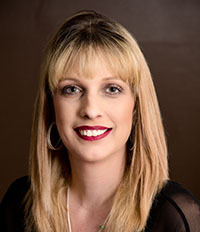 She came to us with over 15 years of real estate experience and is devoted to providing each of her clients with the attention needed throughout the home buying and home selling process. Melody makes sure all her client’s needs are met, and she is accessible morning, noon and night! Melody’s love for homes began at an early age while assisting her parents with their home remodeling company. At 20 years old, she purchased her first home which needed major remodeling, and then she partnered in two additional fix and flip homes. This is when Melody decided to get her Real Estate license and her journey began. Melody worked for the American Surveying & Engineering company in land acquisition for different governing bodies throughout the State of Illinois. She also handled and maintained a few Chicagoland properties for asset groups throughout the United States. Melody McCracken is a member of the National Association of Realtors, Illinois Association of Realtors, and Mainstreet Organization of Realtors. She attends the annual National Association of Realtors convention to stay abreast of the latest real estate trends and technologies currently available. Melody has lived in Downers Grove for the past 20 years and has two children attending Downers Grove High School North. She loves her four dogs and spends most of her free-time fostering dogs for Mobile Mutt Rescue.